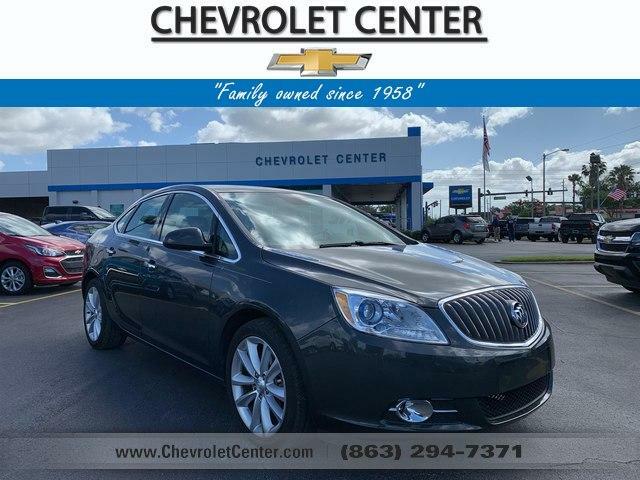 CARFAX 1-Owner, Buick Certified, GREAT MILES 28,857! PRICE DROP FROM $17,900, PRICED TO MOVE $200 below NADA Retail! NAV, Heated Leather Seats, Onboard Communications System, Back-Up Camera, Premium Sound System, Alloy Wheels. AUDIO SYSTEM WITH NAVIGATION, AM/FM/SIRIUSXM STEREO, SINGLE CD/DVD PLAYER AND MP3 PLAYER WITH NAVIGATION IntelliLink with 7 diagonal touch-screen display, GPS navigation system, USB port, Radio Data System (RDS) and auxiliary input jack, includes phonebook access, voice recognition for audio, phone, phonebook and music selection, Pandora and Stitcher Smartphone compatible, SiriusXM weather and data services, and software Bluetooth and Smartphone interface upgradeable, ENGINE, ECOTEC 2.4L DOHC 4-CYLINDER SIDI (SPARK IGNITION DIRECT INJECTION) with VVT (Variable Valve Timing) (180 hp [134.28 kW] @ 6700 rpm, 171 lb-ft of torque [230.85 N-m] @ 4900 rpm) (STD), TRANSMISSION, 6-SPEED AUTOMATIC, ELECTRONICALLY CONTROLLED WITH OVERDRIVE includes Driver Shift Control (STD).